Appeared in Sky and Telescope, December, 2007, page 81. Astrodon LRGB filters. Off-axis guided with Astrodon MonsterMOAG and STL-Remote guider. Automated data acquisition including meridian flip with CCDAutoPilot3. Processed in CCDStack and Photoshop CS2. 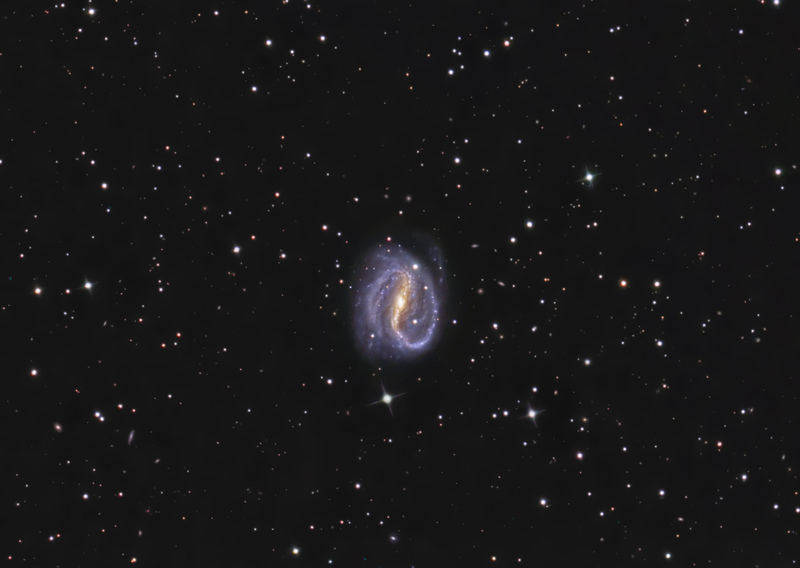 NGC7479 is a bright SBbc galaxy in Pegasus with an s-shaped spiral and a distinct central bar. It has an apparent magnitude of 11 and an apparent diameter of 4.1 arcminutes. It was discovered by William Herschel in 1784. A supernova was observed in NGC7479 in 1990.